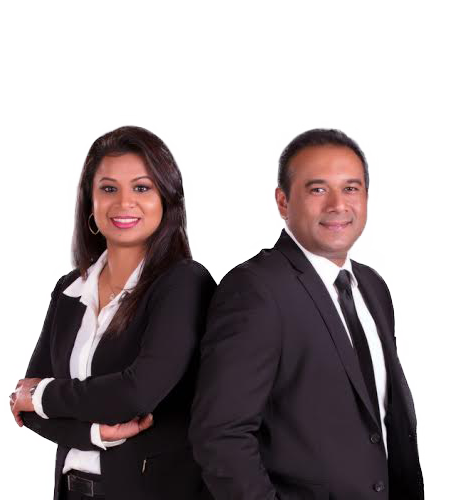 Sathy began his career in the real estate industry in 2003. From commercial properties for your small business to buying your dream home - Sathy has extensive experience on hand to serve everyone based on their real estate needs. His record can only testify to that, having won the Platinum Club Award "4" times, and Chairman Club "7" times. More recently in 2017, he was named Top 0.5% Salesperson in North America of Re/Max Inc. It’s no surprise Sathy’s motto is a quote by the late, great Martin Luther King Jr., “Anyone can be great because anyone can serve”. Sathy is best known by his clients as a skilled negotiator who always puts their needs before all else. He prides himself on educating his clients about the real estate market, helping his clients realize the best possible price for their sale or purchase of a home in the least amount of time. Sathy’s greatest passion and joy comes from his family. Sathy has resided in York Region for over 20 years and is actively known in the community. Instead of starting in the real estate industry upfront, she decided to being her work in the financial lending industry. Nithy’s previous experience as a mortgage broker at a private firm, dealing with all the major Canadian banks, has given her the ability to inform and prepare her clients for their purchase and sale. Her broad range of experience in the mortgage industry since 2006 has allowed her to offer sound financial advice to buying clients with regards to mortgage financing matters. Being your local REALTOR and a Certified Professional Home Stager from the CSP, she knows the tips and tricks to sell your home for the best price. Her extensive work in home sale marketing allows her to sell her client's home at the best time and for the best price. Her clients describe her as someone who is efficient, a great negotiator and can be trustworthy to get the job done. With her extensive background in the financial industry and marketing segment of the housing market, she aims to ensure all her clients have a positive buying/selling experience each time. or email me at realtornithy@gmail.com.